The new R5T Team Edition 2 – 21 Buggy 5 ports+boosters Tuned and Certified by M.Rossi. R5T based with improvements for power and efficiency. High power. High fuel economy. Lightweight. Carburetor The R5T is equipped with the new Extra Long idle needle, which improves fuel economy and guarantees a linear power output. This latter feature makes the engine very driveable and easy to handle on all terrain. 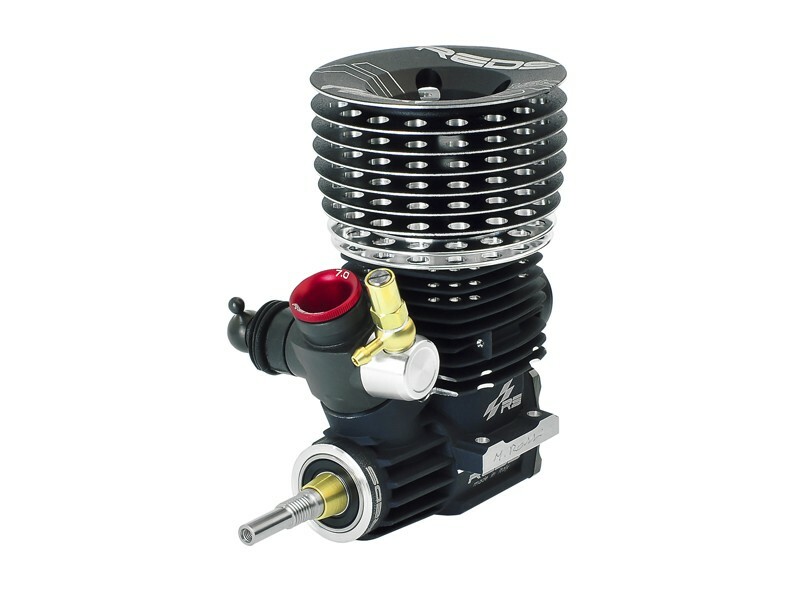 The composite technology provides extreme carburetion stability. Lightweight The R5T is extremely light! With 348 grams of weight is one of the lightest engines in its class. The engine has been completely redesigned to save even further weight, maintaining high performance and reliability. High performance ball bearings The engine comes with all Swiss Made ceramic ball bearings. 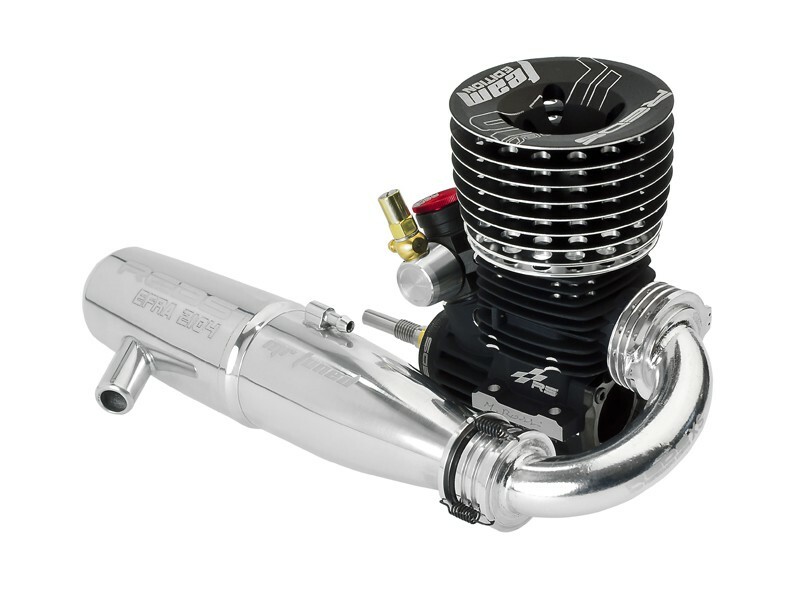 New cooling system The engine is designed for maximum performance in terms of cooling, with a new ultra-finned crankcase and new cooled combustion chamber. CNC Machined Billet Flat Piston All REDS buggy engines use flat pistons matched to a specific combustion chamber for high performance and low consumption. Made from a high strength aluminium bar, our piston is a true masterpiece of engineering. Ultra-light rod Lightweight, durable and reliable, this is the standard quality of our connecting rod. The slim shape is designed to minimize aerodynamic friction. The double bush technology ensures high reliability. The DLC (Diamond Like Coating, they call it RDC) backplate hard coating, guarantee lower friction between conrod and backplate, providing lower energy loss. The ceramic rear ball bearing guarantee longer life and lower friction. The team tuning goal is to provide a better surface finishing in particular inside and outside of the sleeve. This provides “inside” lower piston/sleeve friction and “outside” better fluid danimics. All ports will have the same shape. The crankshaft is rebalanced by hand. Crankshaft given more attention to perfection, higher polish inside and out. New long needle composite slide carburetor.